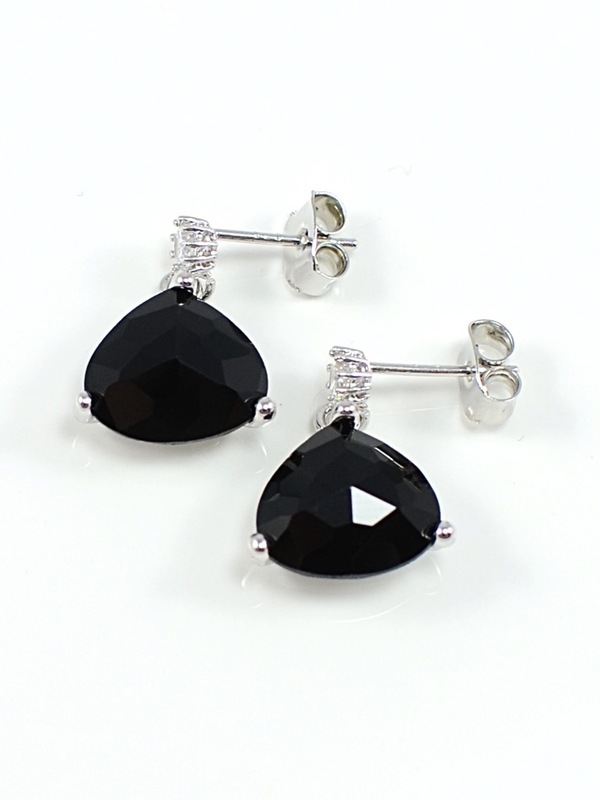 These bright cubic zirconia post earrings showcase elegant rhodium-framed square glass crystals in jet black. These drop style earrings hang about 1 inch. 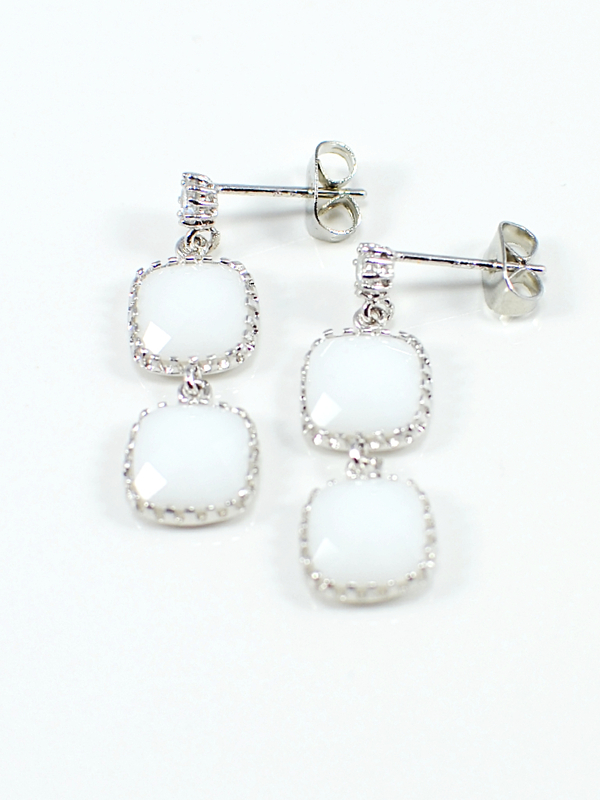 These bright cubic zirconia post earrings showcase elegant rhodium-framed square glass crystals in alabaster white. These drop style earrings hang about 1 inch. A sophisticated earring with just the right amount of sparkle. 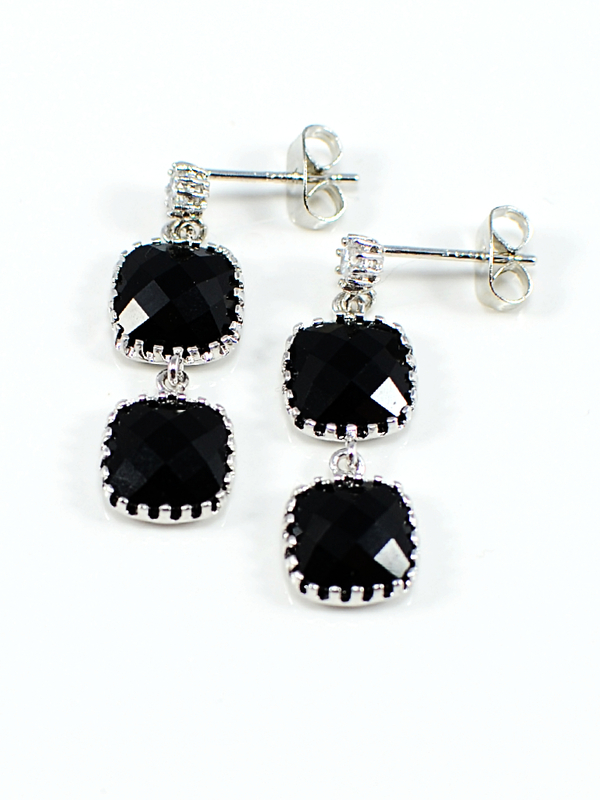 These bright cubic zirconia post earrings feature stunning 13mm crystals in Jet Black set in polished rhodium. A sophisticated earring with just the right amount of sparkle. 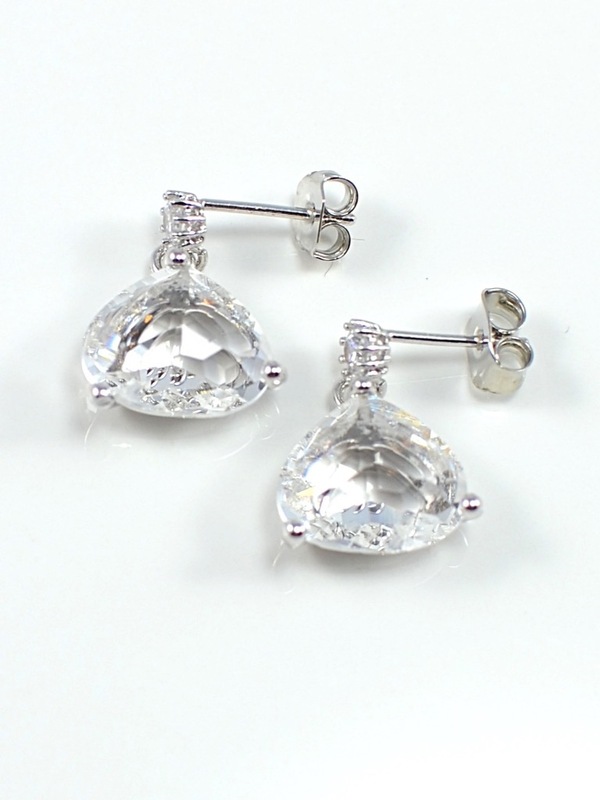 These bright cubic zirconia post earrings feature stunning 13mm crystals in Crystal set in polished rhodium.